If your home is damaged from flooding rains, are you covered? That all depends on if you took the flood insurance policy or not. Regular home insurance policies do not cover typical flooding’s. If your roof was blown off and a monsoon occurred in your living room, you would be covered but how often does that happen. According to FEMA, one inch of water can cost upwards of $27,000 to repair and replace your possessions. 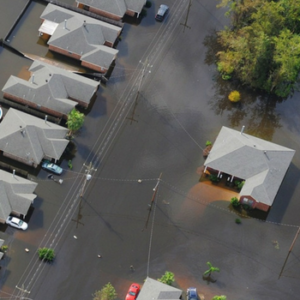 According to the flood insurance program, the average residential flood claim in the U.S. is around $39,000. Don’t sweat it though, anyone can buy flood insurance! You do not have to live in a floodplain to buy it, although it will probably be required if you do. The average price of flood insurance costs about $650.00. The most you can get from a federal flood insurance policy is $250,000 for the structure of your home and $100,000 for personal possessions. If your home is valued at more than $250,000 you may want to take out an excessive flood insurance policy through a private carrier to make up for the difference in value. It Is also of note that standard flood insurance premiums do not cover additional living expenses. If you did need to stay somewhere else because of a flooding situation, you would need to cover that out of pocket, which is another reason that upping your premium with a private insurer is a good idea. They will typically cover around $7,500 for additional living expenses. There is a 30-day waiting period once you add the insurance, so if you are thinking about adding it days before and upcoming storm or hurricane, it is not going to help you. Taking action to help prevent your home from flooding can also reduce your premiums. If you have an interior drainage system with a sump pump and battery backup unit, that should help reduce the overall cost.